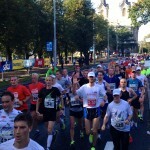 Athletes from 43 countries registered for the 2013 SEB Tallinn Marathon, which took place on Sunday 8th September. The event is still the largest public sports event across all the Baltic States. The SEB Tallinn Marathon enabled people to test themselves on the marathon, semi-marathon, 10 km running and walking distance (including Nordic walking), also at the Haribo children’s run. The marathon distance was won by Ethiopian Tesfaye Dadi Beyene with a time of 2:15:01. Double victory did not go to Ethiopia this time, because Kenyan Pharis Kimani placed second with a time of 2:15:22. 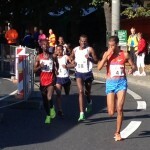 The third place in general ranking is held by Demisse Diriba Haile from Ethiopia whose time was 2:15:45. 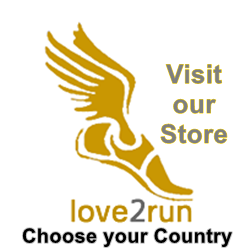 In the women’s ranking, the fastest was the Kenyan runner Irene Chepkirui, who completed the distance with a time of 2:34:40. The second was Marta Markos Ayele (time 2:39:51) from Ethiopia and third Anastasia Kushnirenko (time 2:48:51) from Russia. 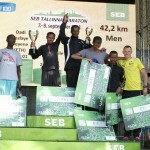 The SEB Tallinn Half Marathon was won by Kenyan Ibrahim Mukunga with a time of 1:05:42. Valerijs Zolnerovics from Latvia narrowly missed the first place by placing second behind Mukunga with a time of 1:05:47. Kaur Kivistik from Estonia placed third in the general ranking, completing the half-marathon distance with a time of 1:11:26. In the women’s ranking, the fastest to complete the half-marathon distance was Estonian Jekaterian Patjuk, who placed tenth in the general ranking with a time of 1:17:32. David Kogei from Kenya won the SEB Tallinn Marathon 10 km running distance with a record time of 29:02. The second place is held by the current holder of the 10 km distance record, the winner of multiple SEB Tallinn Marathon 10 km distances Tiidrek Nurme, who beat his current track record of 30:04 with a time of 29:58. The third place went to Nikolai Vedehin from Estonia, who completed the 10 km distance with a time of 30:58. In the women’s ranking, the long-time runner Jelena Prokopcuka from Latvia won the 10 km distance, who beat the current track record in women’s ranking of 34:17, which up to now was held by Rasa Drazdauskaite from Lithuania, with her time of 33:18. 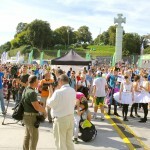 A total of 22,356 recreational enthusiasts registered for this year’s SEB Tallinn Marathon; of these 2,077 for the marathon, 2,728 for the half-marathon, 7,689 for the 10 km running and 7,201 for the 10 km walking distance (including Nordic walking) and 2,661 for the Haribo children’s run. 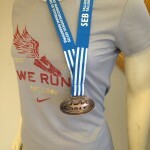 Click here for more information & results from the SEB Tallinn Marathon 2013.